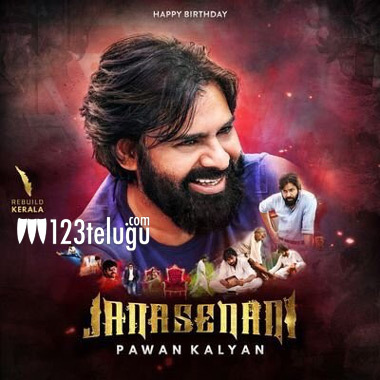 On the occasion of Pawan Kalyan’s birthday tomorrow, fans have been celebrating for a long time now. As there are only a few hours to go before the actual birthday, mega fans have started wishing the power star. So many fan-made posters, videos, and wishes have already started trending on the social media. Some fans have kick-started the celebration by giving a tribute to late Harikrishna whose birth date is also tomorrow. The birthday tag is already trending and from 12 am celebrations will be in full swing. Ram Charan on his behalf has also planned a surprise and this has increased the celebrations even more.